For the newly admitted Unilag fresh students, here are the top five places you can't afford to miss in your first few weeks on campus and henceforth, put together by Olabode Saygee. Read below and use the comments section to share your thoughts... Enjoy! Am sure people will lash me for not putting it in number one but its due to my personality as I am not the library type, cuz I entered the library just 3 times in 5 years and not to read but to make photocopies (loolz), but trust Unilag, this shows in my grades and in the number of years spent on campus. So if you are of my personality, I will still suggest you visit the library more frequently than I did, say like 4 times in 5 years *winks* if not…you know my story right?? This is located directly under the 2001 café. It is a chillzone (fun spot) and when the stress of registration and lectures is getting to you, you can always run down here to have fun. With the latest games and high resolution tvs, chilled drinks, snacks and best toast bread in school Jekaplay is a place you should visit in your 1st week in school. This is the pride of the university as it is the 1st university radio station. 103.1 fm (I suggest you listen as information concerning school activities are usually passed every morning) is the frequency and its was formally located at the 7th floor of the tallest building in the university “the senate building”, 4 floors below the vice chancellor’s office but now at the mass communication department behind Afe Babalola hall. 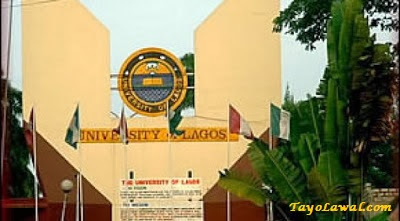 Unilag fm boasts of the best student presenters you can think of. You should pay the station a visit and see how broadcasting is being done. This is the biggest café in school and it is located at the heart of the school “new hall” opposite access bank. The 2001 café boast of over 15 food booths of different tastes, quality and origin. There is no food, I repeat there is no food you are looking for that you won’t find here. My personal choice; JC canteen has the best jollof and fried rice and that is the 2nd booth on your right while mascot has the best of ada stew that’s the 4th booth to the left. Calabar kitchen has the best of native soup ranging from idikainkong to afam, and that is the last booth to the left while the best bread and beans is of the 5th booth to the left after mascot. The best yam and egg is served by the 4th booth to the right while the best noodle is served by the 1st booth to the left. Before you eat out in all the small cafes I suggest you try out the, most famous café in the University of 1st Choice, 2001 cafeteria. Even people that are not Unilag students come into school just to have a firsthand view of the popular Lagos lagoon. The lagoon front is located behind the library stretching down to the back of faculty of business admin to the left and back of faculty of sciences to the right. I spent most of my early days in school here even tho most of my lectures were at DLI. You can go there to see the overview of the 3rd mainland bridge, or see the lagoon or probably just chill and enjoy the fresh breeze. It’s also a good spot to take that girl you met during registration and classes and you have been trying to scope *winks* 5 years back there use to be boats for boat rides down to Bariga and to the 3rd mainland bridge and back to the lagoon front but recent incidents ensued to prompt the school authorities to ban them.